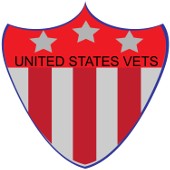 Education Resources - US Vets Inc. Check back as we add to this list of educational resources for veterans. AccreditedOnlineColleges.org discovered that many veterans were not aware of all the grants, scholarships, and education resources that are available to them. So they created a comprehensive guide to help veterans navigate the field of education benefits. Whether you a nontraditional student starting or restarting your education, or an active-military or veteran student, we can assist you in navigating the application process and easing your transition to BGSU. Advisors are also available to assist current students. We can help you discover and utilize campus resources and develop programs to best meet your needs. Nontraditional and Military Student Services (NTMSS) provides assistance to support you as you make career and educational choices. Beginning, returning to, or continuing your college education can pose a variety of challenges. The NTMSS staff is familiar with the issues facing nontraditional and transfer students and can be a resource as you plan and complete your program. Office Hours: Monday – Friday, 8 a.m. to 5 p.m., with extended hours until 7 p.m. on Tuesdays and Wednesdays when classes are in session. The Catharine S. Eberly Center for Women promotes the advancement of women at the University of Toledo and in the community by creating an environment that supports learning, discovery, engagement and enables women to achieve their highest potential. The Center offers personal and professional development classes, as well as other programming such as the Women’s Film and Lecture Series, Adventure Fridays!, and Kate’s Closet. According to their website, College Recon “is a virtual tool providing an unbiased and secure environment for current and former military personnel to connect with over 3,000 not-for-profit colleges and universities from across the country.” It is for who served, are currently serving and their families. Visit the website for more information and to set up your free account at www.collegerecon.com. Lourdes University is a participant in the VA Principles of Excellence Program. Monday – Thursday 9 a.m. to 5:30 p.m. The University of Toledo Military Service Center recognizes the sacrifices of our service members and their families and is dedicated to helping them achieve continued success in life. This will be accomplished by providing accessible educational and degree completion opportunities and a wide range of customized support services including but not limited to: educational benefit processing, mentoring, advocacy and networking while partnering with veteran service organizations who assist with the transition from military service to the classroom and beyond. Hours: Monday-Friday, 9 a.m.-4:30 p.m. The nonprofit organization Service to School has released a free guidebook to help undergraduate veterans find the right college. The guidebook offers advice on finding the right college, recommendations on standardized testing and a Q&A with a Yale admissions officer, in addition to information about whether to attend community college or a university. Download the Service to School Undergraduate Application Guide on the Service to School website. Spring Arbor University Veteran Resource Representative, Dawn Welch, a U.S. Army veteran, is easily accessible and has the singular focus of helping veterans across all delivery modes/locations, resolve problems that could interfere with their educational and employment goals. Spring Arbor University is grateful for your service. Career Development offers the following services to our students and alumni who have served in the U.S. Armed Forces. For any questions or an appointment with a Career Advisor, please contact Career Development at 517-750-6711 or email career@arbor.edu. Onsite and online computer training and consulting for home users, businesses, nonprofits, churches, and other entities for whatever skill level.